With the holidays approaching, we all want to be able to enjoy the season without losing ourselves or our sanity. 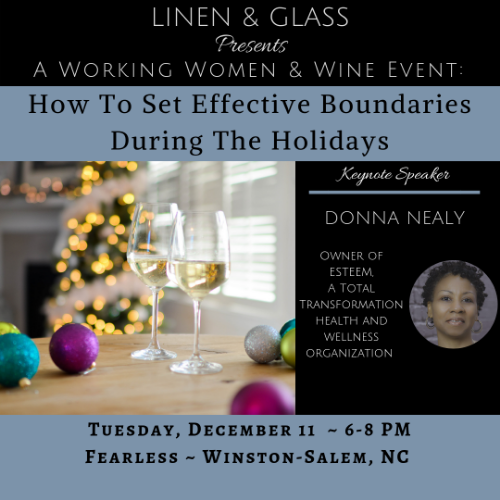 As a woman who has mastered boundary setting, speaker Donna Nealy will share tips and tricks on learning to say no and not feeling guilty, staying positive in chaotic situations and why you shouldn't let people pencil you in because you are worth the ink. 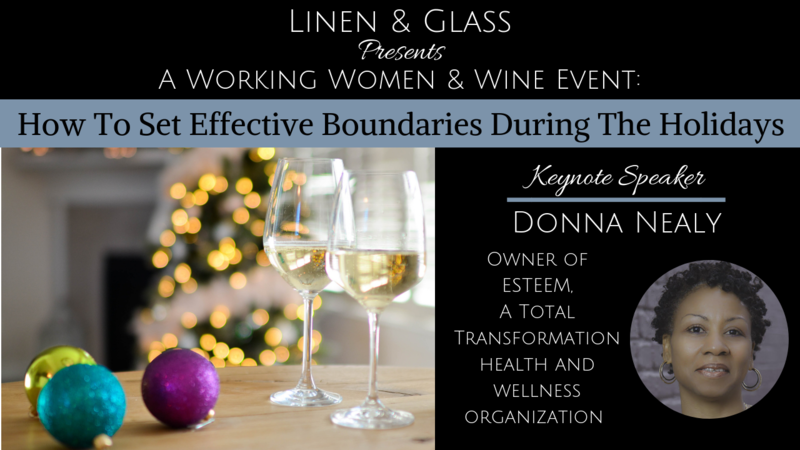 Donna is a certified personal trainer, certified nutrition consultant, certified eating God’s Way consultant, wellness coach, OCB and NPC physique competitor, Mental Health First Aid First Responder, Certified Life Coach, Health and Wellness Motivational speaker, workshop and classroom facilitator as well as a mother of four adult children and grandmother of nine. 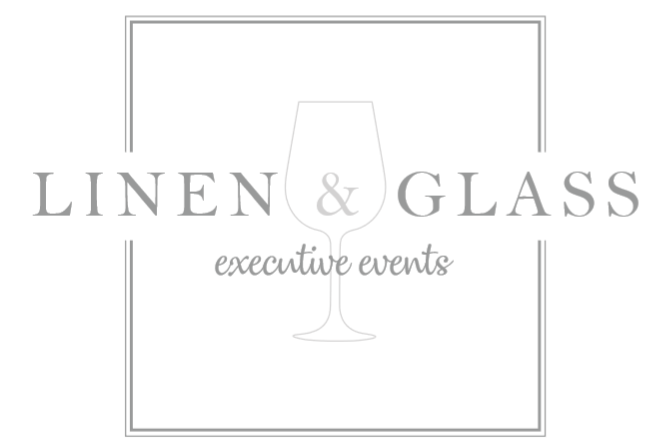 Ticket price includes a glass of wine, light appetizers, raffle entry, an expert speaker on the monthly topic and community-building opportunities.